In my opinion, the single most important question a burgeoning young farmer should ask a “landed” farmer is: How are you on this piece of land? Of course, you could get a smattering of witty answers to this but what you should pursue is a conversation about money. How are these farmers affording the land? For how much? Dig deep and be ruthless in order to get these answers because they are important for you to know. Some farmers may own, others may have a lease or they might be in a creative arrangement. Regardless, this sort of thing is really important to know because it allows you, the prospective farmer, to find a model that makes farming feasible for you. As a perennial farmer, I searched high and low for a model which could work for me and I found nothing. The few young people with orchards of their own were either occupying family land or were given/loaned money from a family member to help buy their farm. There were no young perennial farmers leasing land and after looking into this myself, I began to learn why. Unlike annual farmers, perennial farmers have a long lasting (sometimes life-long) relationship with their crops. When I was looking to lease land, I needed a 10-year lease at the absolute minimum in order to plant my trees, grow them, and then get a few harvests. Now, let’s see a show of hands from people willing to give a 20-something a 10+ year lease. Not. Many. Alright, so maybe I found someone willing to enter into a 10+ year lease with me. What if the landowner decided not to renew my lease after those 10 years? I’d be out 10 years of investment, sweat equity and would be without my apple business. A solution to this, I felt, was to own all of the improvements that I made to land, whether that be a tree rooted in the ground or a building. 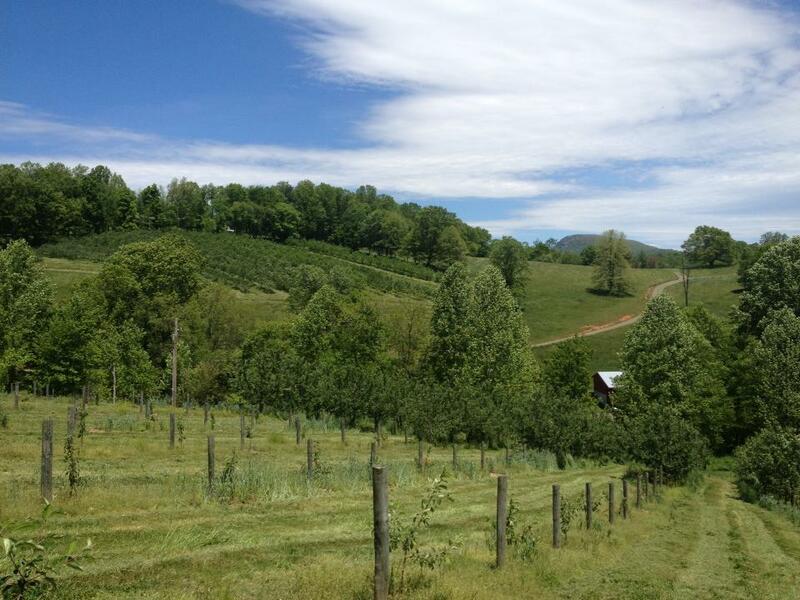 I had decided the mature value of an orchard for the trees and the work I put in was $15,000 dollars an acre. 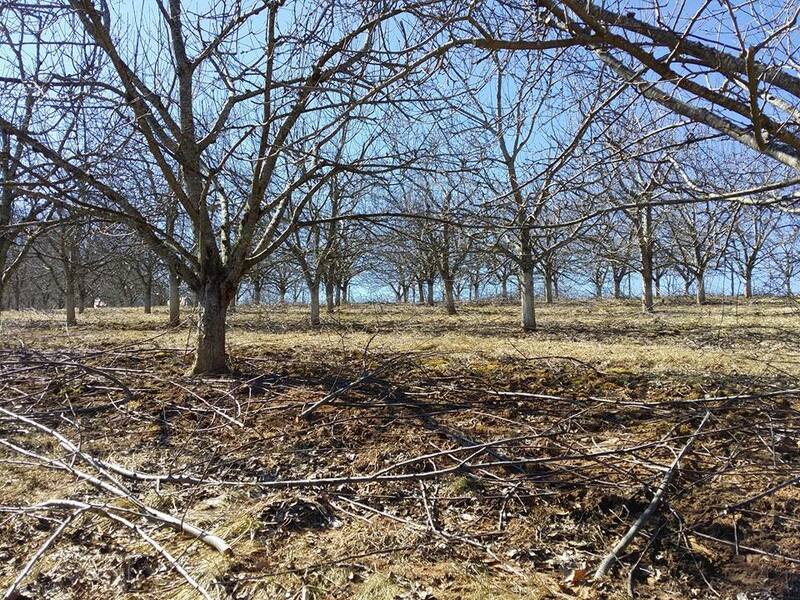 My thinking was that if I was kicked off the land, the owner or the next occupant would need to purchase my orchards because they would basically be purchasing a business. Who was willing to do this? No one. I guess its not a big surprise that no one jumped on this leasing strategy, but it is all I could think of for finding a way to get on land without buying it. Enter the “creative arrangement.” For the perennial farmer, this land option is truly about who you know and involves some mutual exchange of needs and wants between the two parties. For me, it started when I apprenticed for Foggy Ridge Cider, where I got to know the owners and considered them friends. A couple of years later, after hearing about my sob stories of getting kicked off an orchard and breaking up with my boyfriend, the owners decided to let me know that I was welcome back at Foggy Ridge. A rising perennial farmer may look at this and say: This doesn’t help me! Where in the hell am I going to find an arrangement like this? Well, to be honest with you…I turned down several creative arrangements with other people before I took this one. When you are passionate about your profession and put yourself and your needs out there, people answer. Who you are connected with also matters. A colleague of my boss recently expressed that he wished he could have found me before she did. Another colleague expressed wishing he could find someone willing to enter into the same arrangement. I’ve also been offered a 50-50 partnership with a landowning couple wishing to transition their farm over to apples from livestock. Maybe it’s just apples, I don’t know…but there is a need out there for young people to get into this profession. Especially in the light of this ever-growing hard cider boom. There aren’t enough apples in North America to supply the future needs of the apple markets. Young farmer organizations (aside from the Greenhorns, for whom I am a blogger), seem to gloss over the need for perennial farmers. I’d be willing to bet the average age of an apple farmer is far higher than the annual farmer. The need for us to enter into this realm is huge. Interested in joining my network? Do you find your perennial self really needing to get on a piece of land? Please get in contact with me because I feel your pain and can maybe help you troubleshoot. Trees@foggyridgecider.com. ← so how did i become an apple farmer?